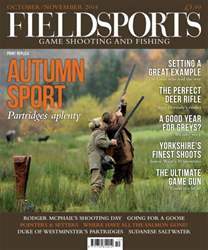 Our autumn sport special. From the fens to the hills, and the valleys to the rivers – with a dose of adventure abroad – we give you a feature-filled issue with a whole section dedicated to the magnificent partridge. Mike Barnes talks to shoot owners, managers and gamekeepers across the country about the health of our wild grey partridge populations, Rupert Godfrey looks back at a wonderful day of wild Wiltshire greys, and David S. D. Jones delves into the history of redlegs in the UK. Meanwhile, Simon Ward answers your game shooting questions and offers step-by-step instruction on tackling traditional driven partridge, and guest chef Sat Bains treats us to a scrumptious partridge recipe from his two Michelin-starred kitchen in Nottingham. Overseas, Will Pocklington gets an exclusive insight into the Duke of Westminster's La Garganta estate, Simon Barr enjoys exhilarating Spanish sport on the cheap, Edward Truter explores an exciting brand new Sudanese saltwater destination and Yuri Janssen recounts a close call with a python, a Jack Russell and a Great Dane. We talk shooting with sporting artist Rodger McPhail and learn more about the game dealing industry with Alan Hayward of Vicars Game. Chief executive of BASC Richard Ali stresses the true value of shooting and Chris Batha advises on why bigger isn't always better when dealing with high birds. 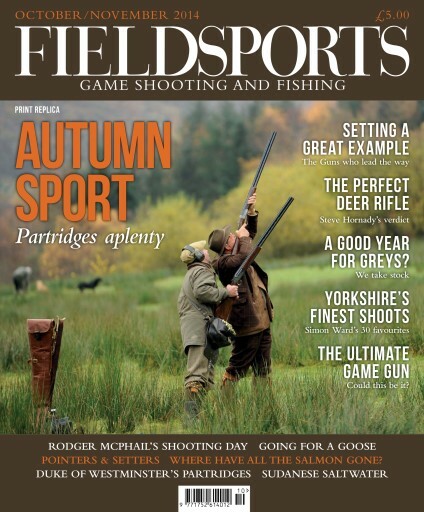 Nicholas Watts describes the magic of greylag shooting, Julien Pursglove discusses the joys of running your own DIY shoot, and we recognise those organisations who are inspiring the next generation of fieldsports enthusiasts. On the river, Marcus Janssen's trip to Cumbria's River Eden was definitely worth the wait, the allure of the fishing hut is considered by Michael Wigan, and in dark times for the king of fish, Lord James Percy asks where all our salmon have gone.